Clinician Biographical Information Frank Ticheli's music has been described as being "optimistic and thoughtful" (Los Angeles Times), "lean and muscular" (New York Times), "brilliantly effective" (Miami Herald) and "powerful, deeply felt crafted with impressive flair and an ear for striking instrumental colors" (South Florida Sun-Sentinel). Ticheli (b. 1958) joined the faculty of the University of Southern California's Thornton School of Music in 1991, where he is Professor of Composition. From 1991 to 1998, Ticheli was Composer in Residence of the Pacific Symphony. Frank Ticheli's orchestral works have received considerable recognition in the U.S. and Europe. Orchestral performances have come from the Philadelphia Orchestra, Atlanta Symphony, Detroit Symphony, Dallas Symphony, American Composers Orchestra, the radio orchestras of Stuttgart, Frankfurt, Saarbruecken, and Austria, and the orchestras of Austin, Bridgeport, Charlotte, Colorado, Haddonfield, Harrisburg, Hong Kong, Jacksonville, Lansing, Long Island, Louisville, Lubbock, Memphis, Nashville, Omaha, Phoenix, Portland, Richmond, San Antonio, San Jose, Wichita Falls, and others. Ticheli is well known for his works for concert band, many of which have become standards in the repertoire. In addition to composing, he has appeared as guest conductor of his music at Carnegie Hall, at many American universities and music festivals, and in cities throughout the world, including Schladming (Austria), Beijing and Shanghai, London and Manchester, Singapore, Rome, Sydney, and numerous cities in Japan. Frank Ticheli is the recipient of a 2012 "Arts and Letters Award" from the American Academy of Arts and Letters, his third award from that prestigious organization. His Symphony No. 2 was named winner of the 2006 NBA/William D. Revelli Memorial Band Composition Contest. Other awards include the Walter Beeler Memorial Prize and First Prize awards in the Texas Sesquicentennial Orchestral Composition Competition, Britten-on-the-Bay Choral Composition Contest, and Virginia CBDNA Symposium for New Band Music. 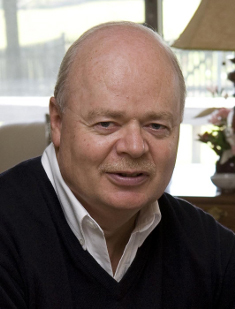 Ticheli was awarded national honorary membership to Phi Mu Alpha Sinfonia, "bestowed to individuals who have significantly contributed to the cause of music in America," and the A. Austin Harding Award by the American School Band Directors Association, "given to individuals who have made exceptional contributions to the school band movement in America." At USC, he has received the Virginia Ramo Award for excellence in teaching, and the Dean's Award for Professional Achievement. 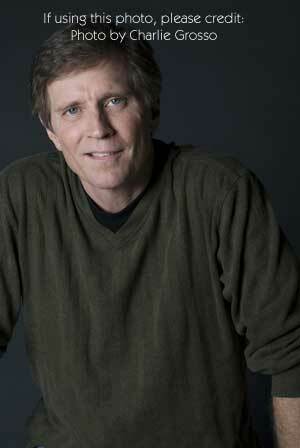 Frank Ticheli received his doctoral and masters degrees in composition from The University of Michigan. His works are published by Manhattan Beach, Southern, Hinshaw, and Encore Music, and are recorded on the labels of Albany, Chandos, Clarion, Equilibrium, Klavier, Koch International, Mark, Naxos, and Reference. Second Clinician Biographical Information Gregory B. Rudgers graduated from the Ithaca College School of Music and holds a Master’s Degree in Education, and a certificate of Advanced Study from Northwestern University. His entire professional life has been devoted to teaching and music; he taught in the public schools for many years, and is currently teaching on the adjunct faculty of Ithaca College. He has conducted honor bands throughout the northeast for over 30 years. Mr. Rudgers has published over 25 articles for national magazines and professional journals, and is a regular contributor to MBM Times, a magazine published by Manhattan Beach Music in Brooklyn, NY. His life as a composer has produced music for band, orchestra, and solos and chamber ensembles with over thirty compositions published by Manhattan Beach Music, Grand Mesa Music, and Carl Fischer Publications. He is a regular contributor to the repertoire of the famed Ithaca College Trombone Troupe.